Yay! 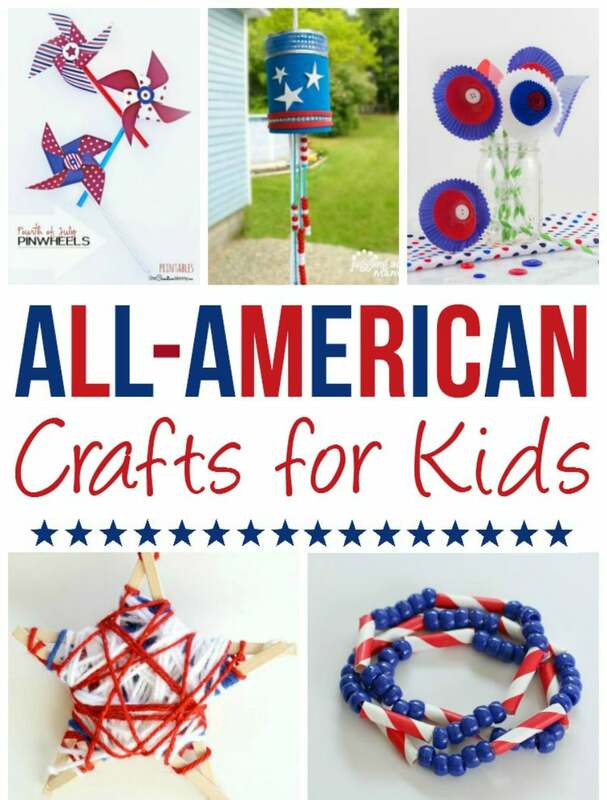 It’;s time to celebrate America’s birthday with these all American crafts for kids! Making crafts with my kids and their friends is the easiest and most hands-on way I can get them involved in celebrating everything American! Our family moved overseas eight years ago. Making that big move and kissing the shores of America goodbye truly deepened our gratitude for the blessings of growing up in a country where people cared and even died for their fellow man. As we’ve traveled the world, we have seen and experienced that America is definitely a unique and very blessed country! May you and your family enjoy celebrating the blessings of America! Keep it simple and sweet with these crazy-fun crafts that kids will LOVE!